If the first casualty of war is truth, the second is freedom to speak. Since the massacre at Charlie Hebdo, government repression of political speech has accelerated, and so have attacks on Muslims. Fox News, of course, gained notoriety with commentator Jeanine Pirro’s rant demanding that all Islamists be killed, but she is not an isolated voice. Anti-Muslim bigotry runs rampant in a wide swath of U.S. media. 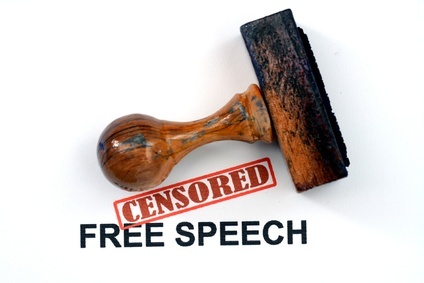 An op/ed from the Electronic Frontier Foundation, also published before Charlie Hebdo, denounced repression of speech around the world, citing Saudi Arabia, Russia and Turkey, but also noting crackdowns in the UK and France. Jon Stewart rightly criticized world leaders who took part in the July 11 Paris march for freedom of the press and against terror, naming them as “journalist-punishing Russia, journalist-jailing Turkey, Palestinian cartoonist-jailing Israel, Egypt and Saudi Arabia, a little out of breath, having just days ago flogged a blogger.” To that list, we can add the leaders of France, England, Scotland, Germany, and the United States whose defense of free speech is increasingly selective and limited.